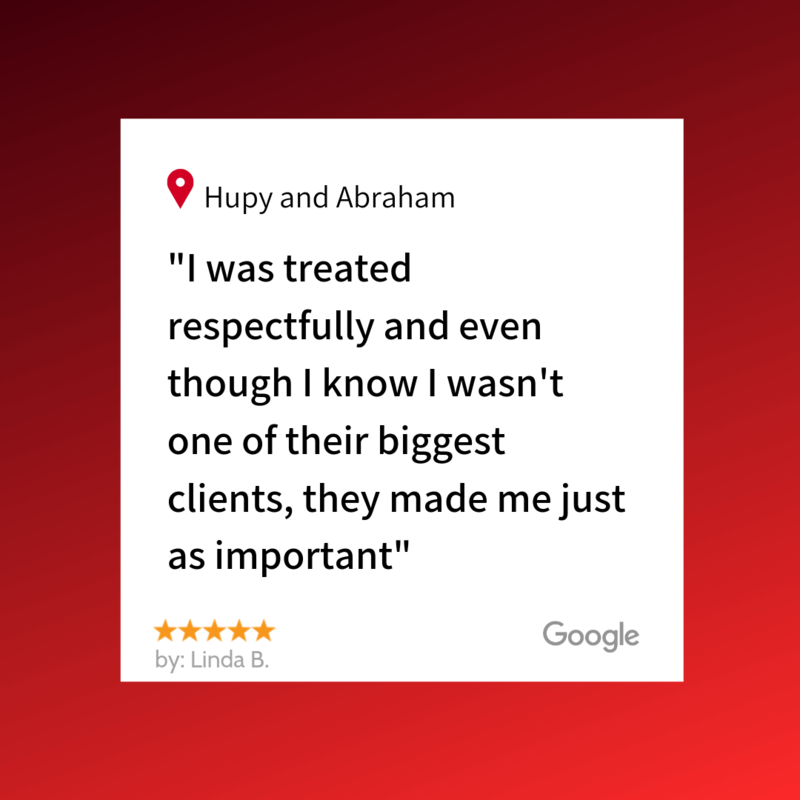 Client Pleased with How Professional Everyone Was | Hupy and Abraham, S.C.
"I was very pleased with how professional everyone on the team was." I was very pleased with how professional everyone on the team was. Each person I came in contact with was polite and knew their job. I was treated respectfully and even though I know I wasn't one of their biggest clients, they made me just as important. Thank you for all you did for me.